We have Printable Handwriting Worksheets for Kids worksheets! I am excited to add a new bundle of helpfulness and fun! 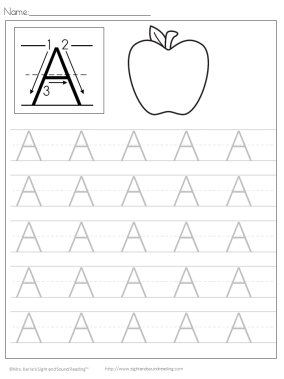 Here is what the Printable Handwriting Worksheets for Kids look like. By downloading these worksheets you will receive the ENTIRE ALPHABET in one download! Also, if you would like to know how to open (and do) these Printable Handwriting Worksheets for Kids on an ipad, try this trick: Or, if you want a handwriting app, i like this app. It has pre-writing things you can trace – lines, circles, etc. It also has the letters and the numbers. One thing to keep in mind, though, is that while it is important to help teach a child how to write the letters correctly, it is equally important that you have your child physically practice writing with a pencil and practice correct pencil grip because so many children are getting to school and not knowing how to hold a pencil because they are just using their finger on a tablet. 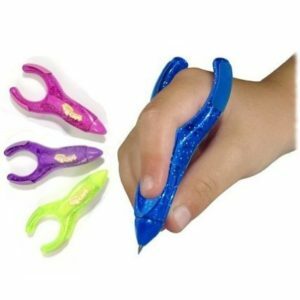 The tool I recommend using to help teach correct pencil grip is below. To get this download, enter in your information in the form below. You will be added to our email list where you will find out about more fun things like more freebies! 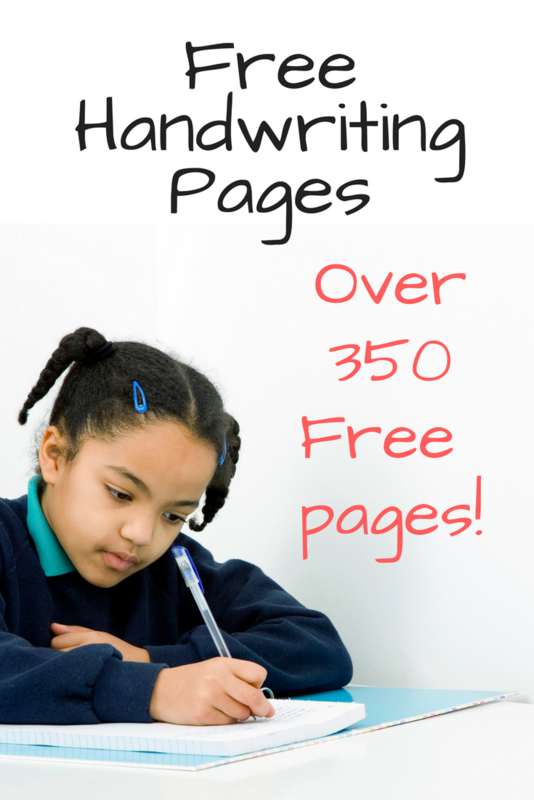 If you have any trouble with your Printable Handwriting Worksheets For Kids, contact me at [email protected] and let me know that you are having trouble with the “free handwriting practice worksheets.” (We have many free downloads and I will know that this is the packet you are looking for). 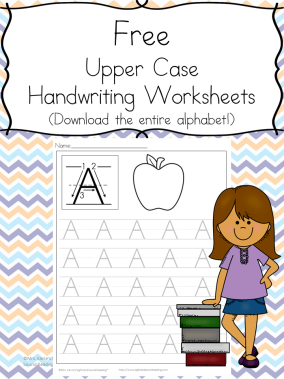 We also have the following Printable Handwriting Worksheets For Kids available on our site. Do you have these in D’Nealian? I love all the choices you have here, but we teach D’Nealian. Thank you. I do not currently have these in D’Nealian. I may add in the future, though! I have one last post with the original 14 page styles. I likely will add some half pages and then I will start down D’Nealian. Thanks for the suggestion! Definitely some to come -but, unfortunately none right now. The download link for the penmanship is not coming through to my email! Am I doing something wrong? ?